Digital advertisements can also just entertain and send the viewer onto a journey through our world. The technological possibilities are becoming more and more efficient. Guidance systems navigate us through shopping malls, and the latest products are both visualized and “touched” via touch systems. The indoor products are made from a portfolio of high-quality aluminum profile systems that allow for individual wishes. The totem uses an invisible locking system and concealed hinges. 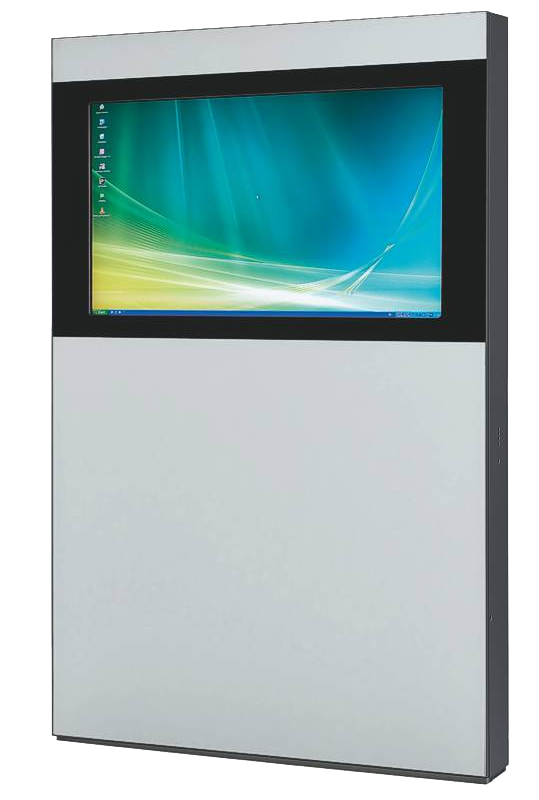 In combination with touch control, the totem is ideally suited to be used as a wayfinding system, for example in the entrance areas of shopping malls, sports arenas or leisure parks, and to direct a large influx of visitors.